I needed a simple tester for home use to be sure that the twisted pair cable I’ve run was terminated to the right pinouts. 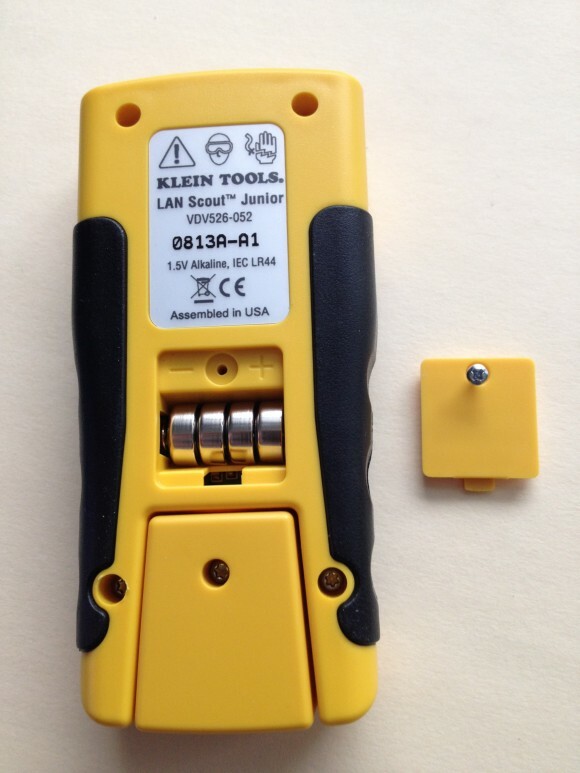 I poked around a bit, and finally opted for the Klein Tools LAN Scout Junior Tester (Amazon). This is a $50 unit that provides just the basics. The unit has a handheld base, a remote unit, an LCD display, and a single button to power it on and run a test. For my purposes, this tester is adequate. I can verify that all 8 conductors in a standard piece of twisted pair cable used for Ethernet was wired correctly. The LAN Scout Junior does not certify a line as suitable to run any particular speed of Ethernet, nor does the LAN Scout Junior tell you how long a particular run is. But, you at least know that the cable was punched down properly with no crossed or missing wires. And if you did happen to cross a wire, the LAN Scout Junior will tell you which crossed where. As that was really all I was looking for, the tool does the job. There are some cheaper devices on Amazon that purport to do the same thing, but in reading reviews, they all seem to be shoddy devices with lots of quality control issues. Thus, I settled on the Klein Tools unit that has a company behind it that makes all sorts of testers. The official product page is here. The unit self-stores the remote. 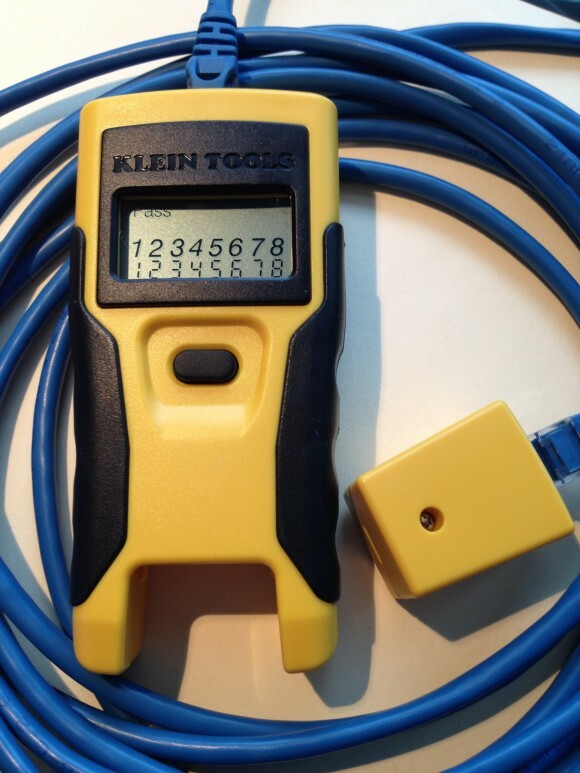 Display showing a successful test of a standard straight-through twisted pair cable. Minor annoyance that the unit does not take AA or AAA batteries. However, batterybob.com is a great supplier for small batteries like this if you like an online retailer for such things. 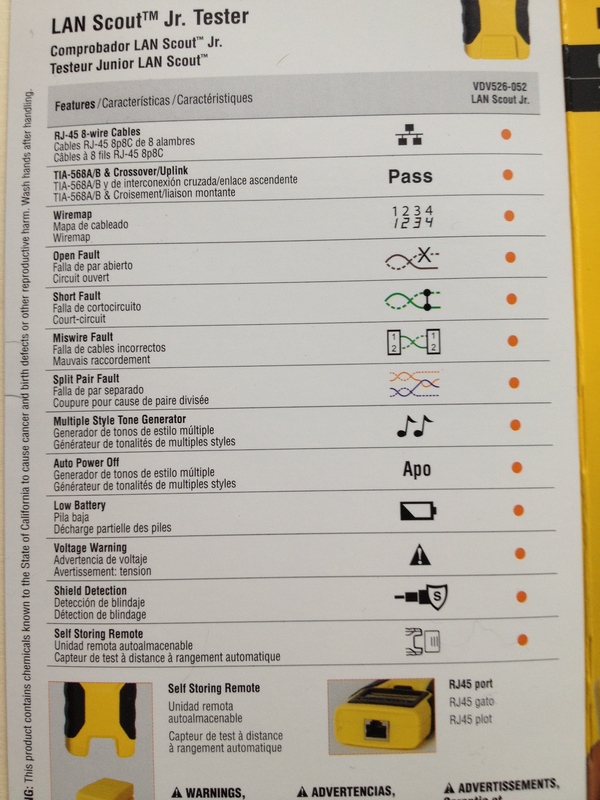 A look at what sorts of wiring issues the LAN Scout Junior can detect. 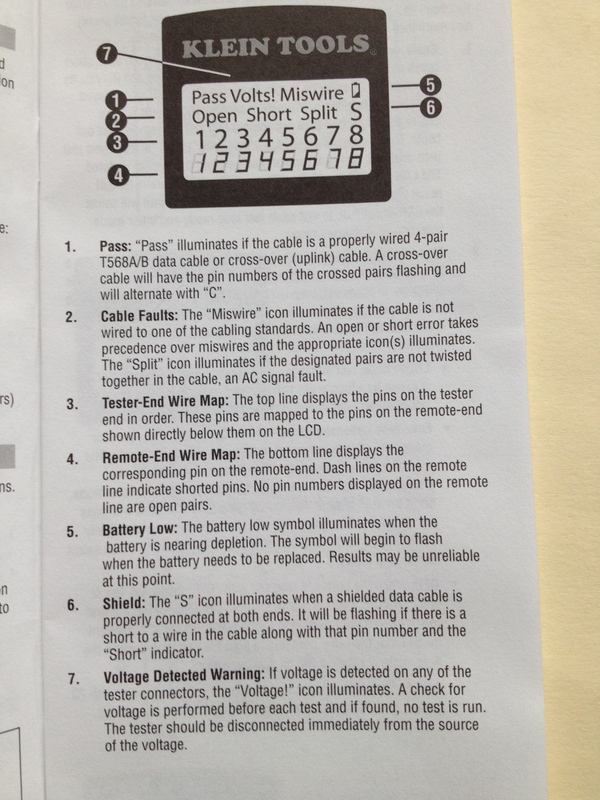 An explanation of the LCD screen indicators. 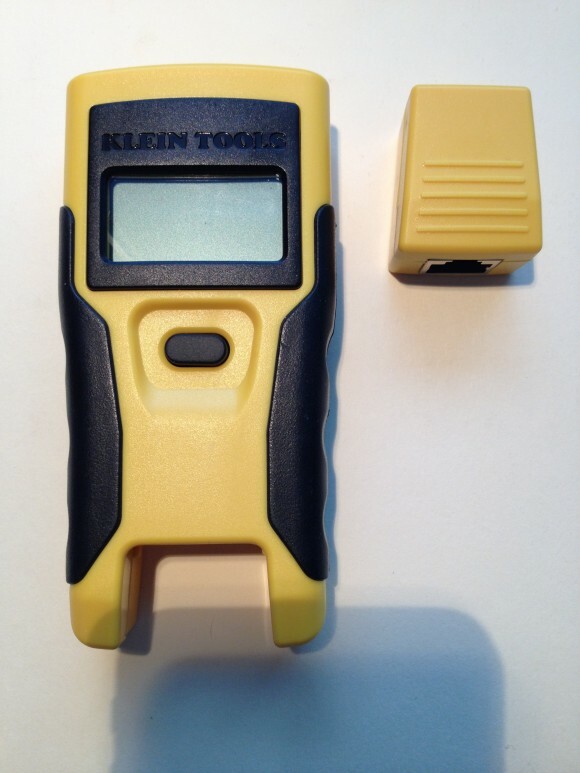 The Klein Tools LAN Scout Junior is a simple handheld twisted pair cable tester with rudimentary functionality. As a quick sanity check that the physical cable was punched down correctly, the tool is great. 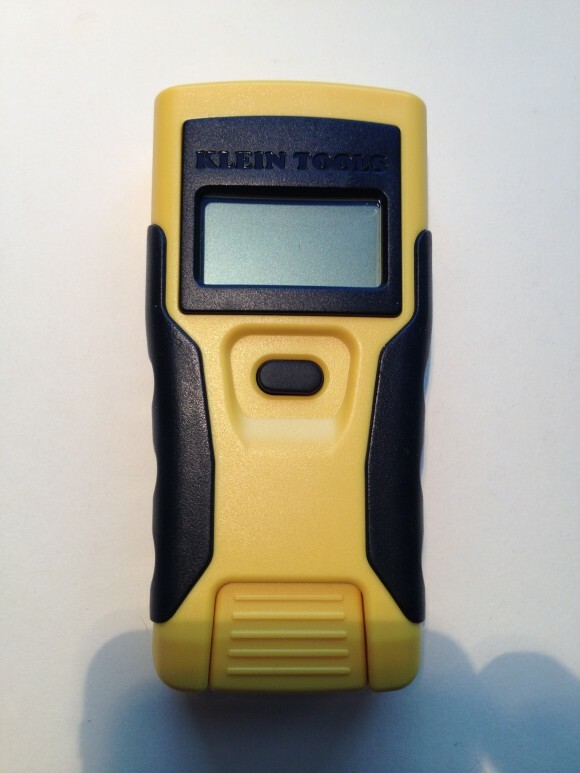 No, the LAN Scout Junior doesn’t do any of the interesting things that say a Fluke meter does, but then again, you buy the LAN Scout Junior because it’s inexpensive, not because it’s feature-laden. I have no complaints about this device at all.